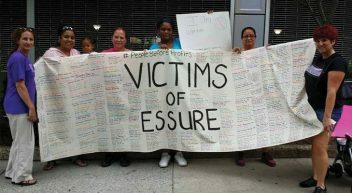 ‘E-Sisters’ at a previous protest with a banner featuring the names of Essure recipients. Bayer announced Friday that it would stop selling Essure birth control in the U.S. by the end of 2018. The pharmaceutical giant said it is not pulling the implant for safety reasons. Instead, the company blamed “inaccurate and misleading publicity” for poor sales. The decision to pull the device comes after the FDA restricted sales of the device in April 2018. It is an emotional moment for patient advocates who have been fighting to remove the device from the market. The Essure device consists of two metal coils implanted in the uterus to prevent pregnancy. Thousands of American women claimed the device injured them and caused complications ranging from hair loss to organ perforation. These complications led women to file Essure lawsuits against Bayer. The U.S. was the last country where Essure was available. 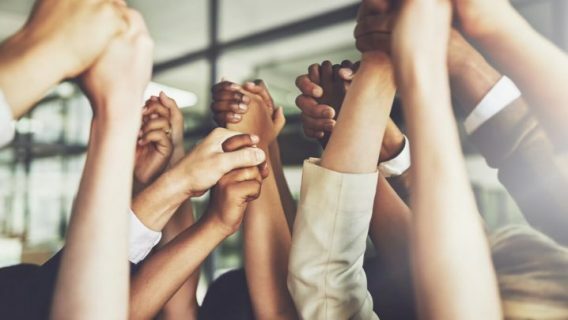 The decision to remove Essure from the market is a major victory for women’s health, according to patient advocates. 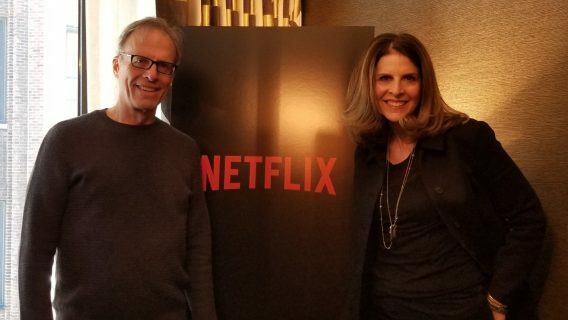 Firmalino and fellow Essure Problems members were featured in the upcoming Netflix original documentary The Bleeding Edge. On July 17, 2018, the group protested Essure by screening the film outside Bayer’s headquarters in New Jersey. In February 2018, they presented adverse event data to Gottlieb and other FDA officials. Shortly after, FDA placed sales restrictions on the device. “Our final email to FDA commissioner Gottlieb put the final nails in Essure’s coffin,” Firmalino said. 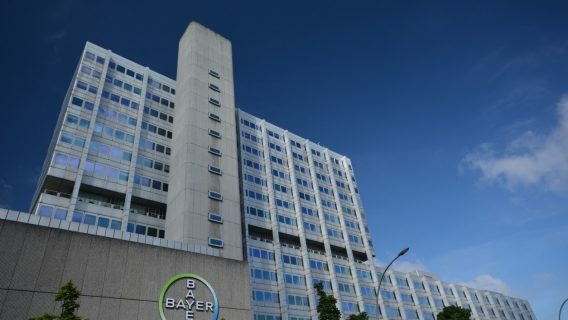 The FDA had also required Bayer to conduct postmarket studies on Essure’s safety and effectiveness. Bayer is supposed to present the data by 2023. Gottlieb said the FDA remains committed to women with Essure.